The Rocky Mountain Elk Foundation’s 25th Annual Elk Camp & Hunting, Fishing and Outdoor Expo will be held March 5-8 at the Fort Worth (Texas) Convention Center. The event features many interesting demonstrations and “how-to” seminars. You can learn how to call elk, pack a horse, hunt backcountry, get more from a hunting guide, field dress big game, cook venison, train a retriever and hunt predators — all under one roof. In addition there are seminars on bow-hunting and black powder shooting. These seminars and more, each presented by noted authorities, are free with the price of admission. Daily admission is $12 per person or $25 per family, and free for kids 5 and under. 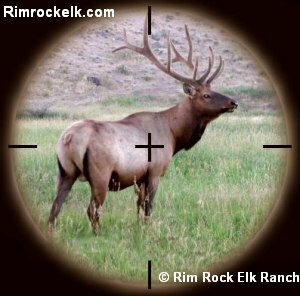 The Elk Foundation’s Elk Camp & Hunting, Fishing and Outdoor Expo also features the RMEF/Leupold 2009 World Elk Calling Championships, hundreds of exhibits, displays, activities, auctions, raffles and more. It’s all a public-welcome showcase and fundraiser for one of the nation’s premier conservation organizations. Since launching in 1984, the Elk Foundation has enhanced or protected habitat on over 5.5 million acres. Share the post "Rocky Mtn. Elk Foundation Expo in Ft. Worth, March 5-8"
If you’re using a body die or a full-length sizing die, try using Ballistol (in the aerosol can) as a lube. It works GREAT without the tacky or gooey residue left by most case lubes. It will also clean off carbon residues on the neck as you lube the case. Just spray a little on a cotton patch (or your fingertips) and wipe each case before you run it up into the die. If you are using a steel neck bushing, be sure to wipe the neck as well. You can usually do a 6-10 BR-sized cases before you need to re-apply Ballistol on the patch. Ballistol is non-toxic, non-petroleum based, and will not harm your skin. It is very slippery, but can easily be removed with a rag or paper towel. Try it–you may retire your One-Shot. Derived from Pine Oil, Ballistol can also be used to protect wood stocks. Note, for heavy case-forming or necking up case necks, we still recommend a thicker lubricant, such as Imperial die wax. But for normal case sizing, after your neck has been expanded, Ballistol will do the job, and you won’t need to tumble the brass afterwards. All you need is a very thin layer of Ballistol, and this easily wipes off with a paper towel. Share the post "Recommended Lubes for Case Sizing and Neck-Turning"